For Sam Miller, family is what he wants most in the world. Though with his parents deceased since he was a boy, and with no way of uncovering who they were, finding a sense of family is more than a daunting task—it seems impossible. Until he goes to Louisiana’s Cajun country, with hopes of finding a man who perhaps knew them. After enduring blistering heat, torment from mosquitoes, venturing into eerie, backwater swamps, and fending off alligators, snakes, and a few sinister locals, Sam finds what he had sought all of his life. He’s also given a second chance, one to leave behind a pained past that he would rather forget. But finding what he wants most means that he’ll eventually have to lose it. 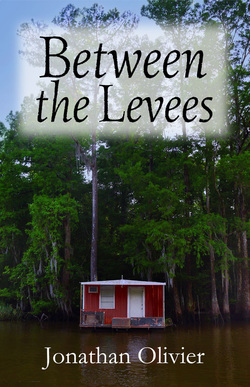 ​Between the Levees makes the reader think about the meaning of family and friendship – and the meaning of home. It is a hopeful story, showing that even in dark times, hope can be found, and lives can be changed for the better. The author's obvious love for the swamps and back lanes of Louisiana shines through in this book. With emotive prose and detailed descriptions, readers will find themselves falling in love with Louisiana as well and itching for the opportunity to visit the swamps of the Atchafalaya. Olivier has a definite talent, not only for describing the swamps and their unique landscapes, but also for character building and for bringing his characters to life on the written page. The author brilliantly gives the reader a sense of realism of the surroundings. I felt like I was there experiencing life as the main character. I loved everything about this book and highly recommend it to anyone who loves a realistic story that leaves you with a feeling of hope.